Illinois residents who fail to repay their debts can be sued by their creditors in an attempt to collect. If your creditor wins a judgment against you, they can file additional motions with the court to garnish your wages and/or your bank account to recover what is owed. Garnishments are covered under Chapter 735, Article XII of the Illinois Compiled Statutes. Wage deductions are covered under Chapter 735, Article XII, Part 8 of the Compiled Statutes. Illinois law permits creditors to garnish the lesser of 15 percent of a debtor's gross weekly income or the amount by which the debtor's net weekly income exceeds 45 times the federal minimum wage. After obtaining a judgment in civil court, the creditor must serve the debtor with a Wage Deduction Notice. This document notifies the debtor that a wage garnishment proceeding has been initiated and the procedure for filing exemptions. The creditor must serve the debtor's employer with a Wage Deduction Affidavit. The employer is required to provide the creditor with the debtor's wage information. Once the affidavit has been returned, the creditor can file a motion for a garnishment summons, which allows the wage deduction to be enforced. Creditors may also seek to garnish your bank accounts or other assets. Non-wage garnishments are covered under Chapter 735, Article XII, Part 7 of the Illinois statutes. Following a judgment, the creditor must serve you with a garnishment summons. This summons notifies you that a non-wage garnishment proceeding has been initiated and lists the types of assets that are exempt from garnishment. You must return the summons between 21 and 30 days of its issue date along with a list of any exemptions you wish to claim. A copy of the summons must also be served to the your bank. Upon receipt, the bank must freeze funds in the account up to the amount specified in the summons. If you are unable to reverse the garnishment, the bank must turn these funds over to the court for distribution to the creditor. Certain assets are exempt from garnishment. As of 2011, Illinois residents can exempt up to $4,000 in cash deposits or other assets under Article XII, Part 10 of the Compiled Statutes. You may also claim an exemption for garnishment if your bank account includes deposits from Social Security benefits, Supplemental Security Income, public assistance veterans' benefits, child support, alimony, worker's compensation, unemployment or disability benefits. You may be able to avoid a garnishment if you can negotiate a payment arrangement or settlement agreement with your creditor. If you've received a notice for garnishment but you lack sufficient income or assets to pay the judgment, filing bankruptcy can temporarily halt the garnishment proceedings. A qualified Illinois bankruptcy attorney can help you to decide whether filing is your best option. 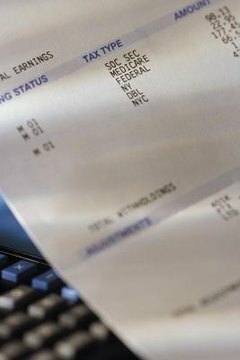 Illinois law prohibits employers from terminating employees for a single garnishment. This protection is lifted if an employer is the recipient of multiple garnishment orders. Lake, Rebecca. "The Illinois Statute for Garnishment." , https://legalbeagle.com/12030637-illinois-statute-garnishment.html. Accessed 20 April 2019.